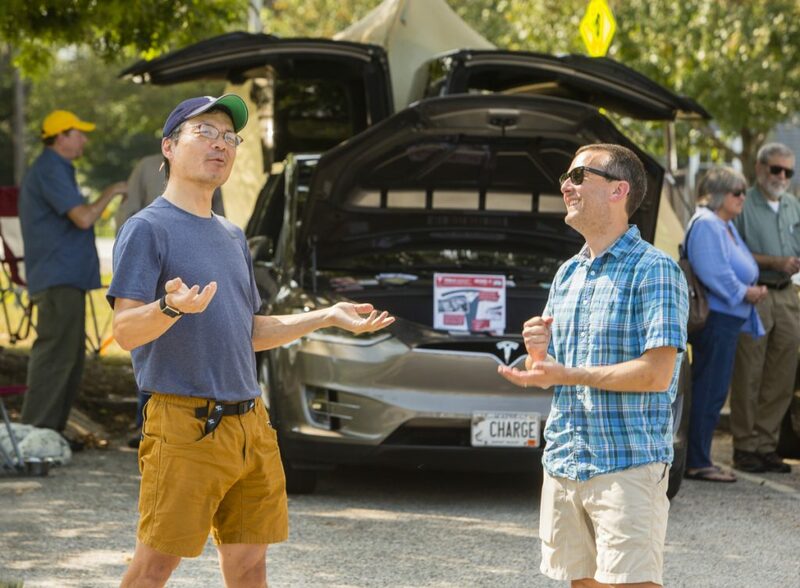 Ken Chang of West Gardiner, left, talks electric cars with Mike Stivaletti of South Portland, during an electric car event at the South Portland Community Center on Sunday. Stivaletti was there sharing his 2-month-old Tesla 3, the same car Chang will soon own. 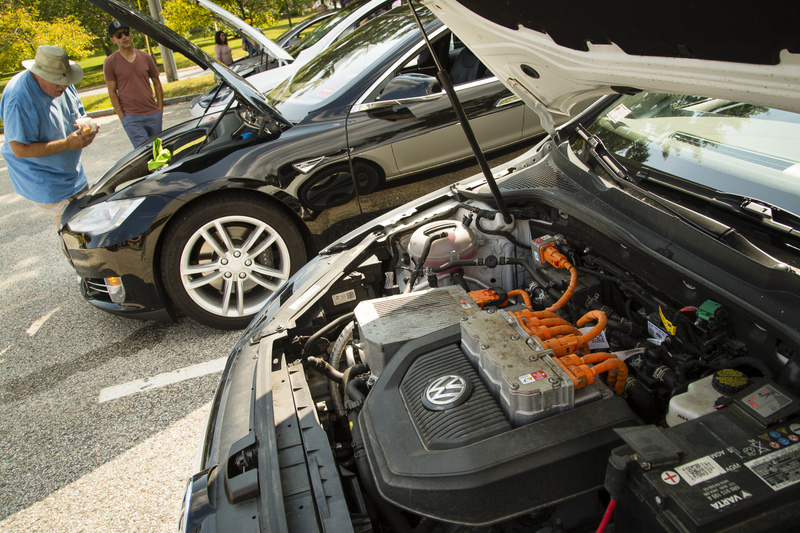 A Tesla Model X is in the background. Electric car owners share their vehicles with attendees during an electric car event at the South Portland Community Center on Sunday. 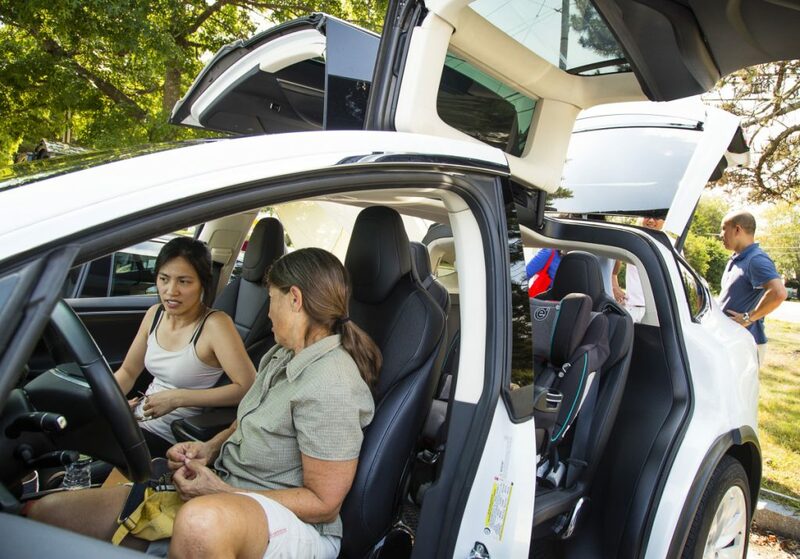 Tho Ngo of Windham, left, talks about her Tesla Model X with Anne Shelbe of Unity during the electric car event at the South Portland Community Center on Sunday. 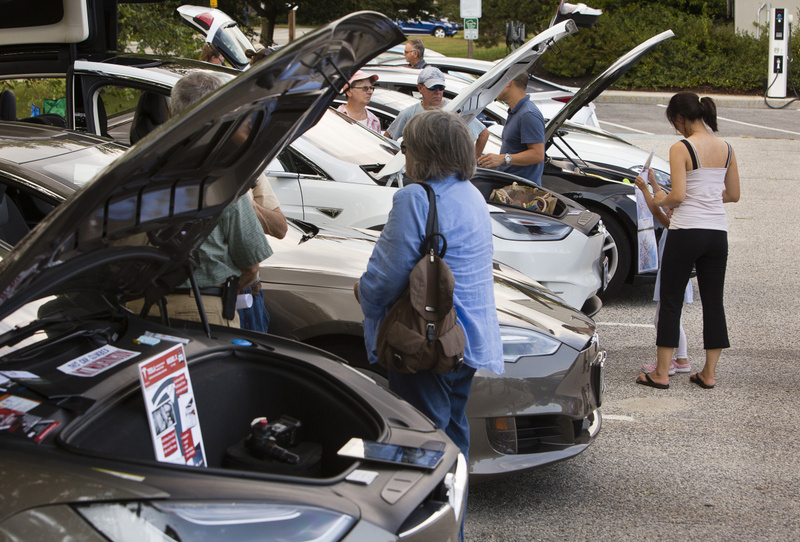 Shelbe, who currently owns a gas-powered Subaru Outback, said she was interested in the Tesla Model X because of its high ground clearance. 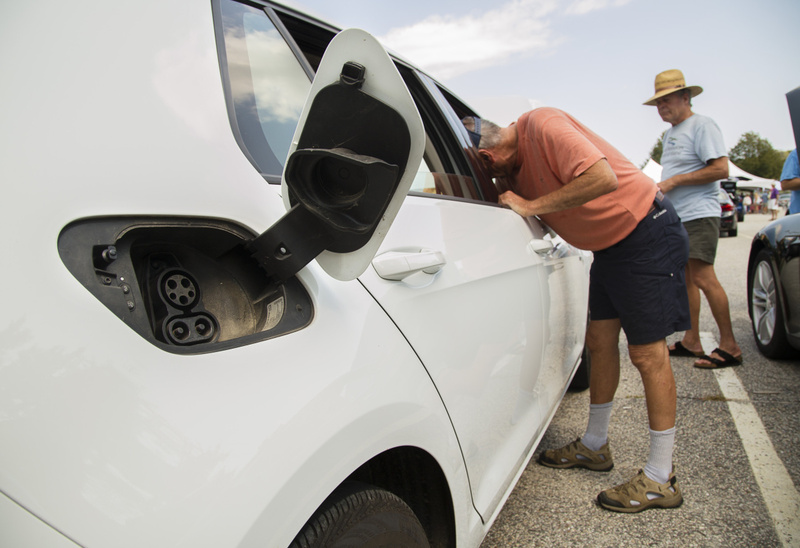 The open fuel door of a Volkswagen E Golf reveals its charging port. 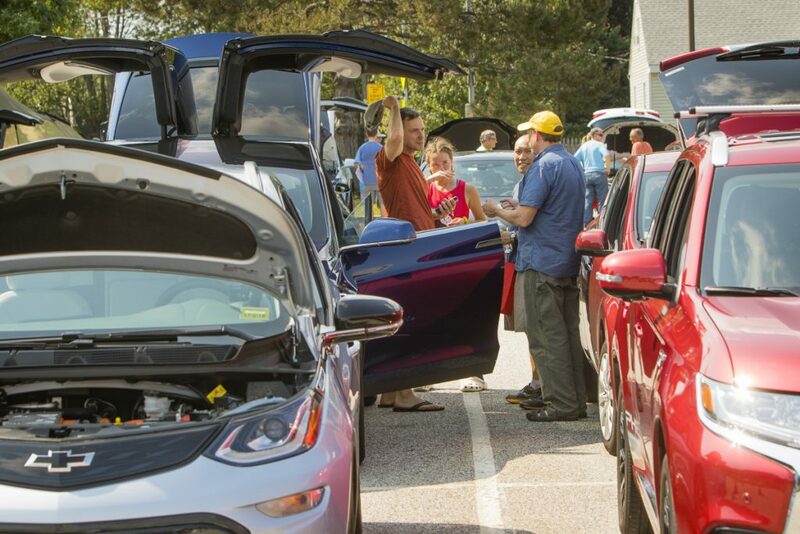 Electric car owners share their vehicles with attendees. 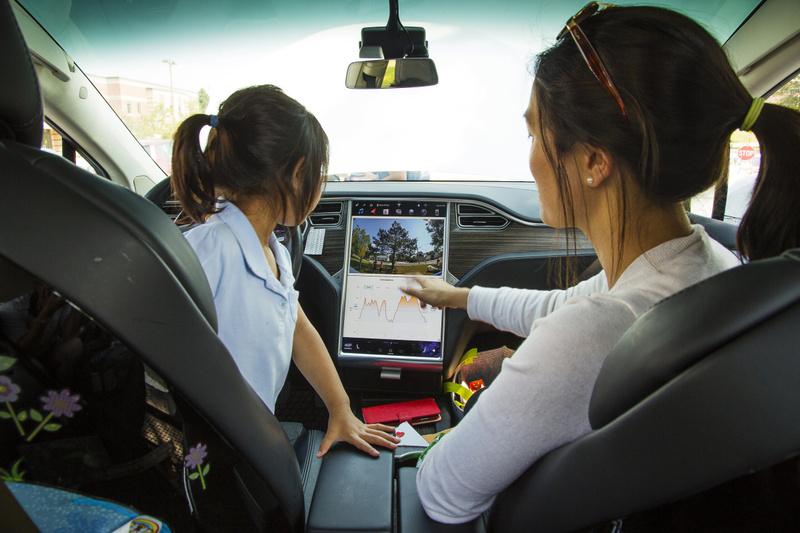 Tho Ngo of Windham shows her daughter Elsa, 4, something on the center console computer display inside Ngo's 2016 Tesla Model X.